Oklahoma’s Lt. Governor Race 2018 features four announced Republicans and no Democrat. GOP contenders include former Oklahoma Republican Party Chair Matt Pinnell, current Oklahoma Corporation Commissioner Dana Murphy, State Senator Eddie Fields and Dominique Damon Block, Sr. In an analysis of ethics reports for the period ending October 31, it appears that this race may well be one of the more interesting in the upcoming cycle. Matt Pinnell reported a total of $472,253.23 in donations. 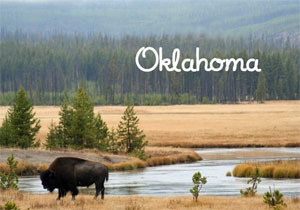 These contributions come from individuals throughout Oklahoma and nationwide. Pinnell has never held elected office, but served in President Trump’s campaign as the National Republican Committee’s State Coordinator. 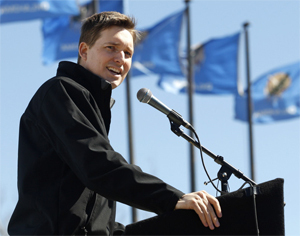 Matt Pinnell was raised in the Sooner State and lives in Tulsa with his wife, Lisa, and their four children. A graduate of Oral Roberts University, Matt speaks of its founder’s challenge to “make no little plans here.” It was central to the DNA of the university- and it’s been central to how he’s lived his life ever since he declares. At this point eight years ago, current Lt. Gov. Todd Lamb raised $301,550.75, but Lamb had served in the Oklahoma Legislature so Pinnell is setting a record pace for a first time candidate. Corporation Commissioner Dana Murphy has raised $85,162.90. For someone with 16 years of experience running statewide, Murphy reports are surprisingly low and a concern for supporters. Campaigning statewide, Murphy focuses mostly on Corporation Commission issues. In the technical aspects of the many regulatory functions of the Commission, Murphy excels as a subject matter expert. Murphy was born in Woodward, Oklahoma to a family involved in farming, ranching and the petroleum industry. Her career began as a Petroleum Geologist for over 10 years. 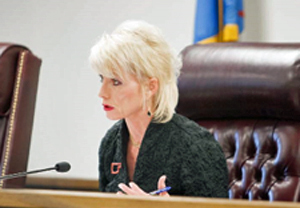 She worked as a law clerk while attending night law school at Oklahoma City University then served as an administrative law judge, a consulting geologist, and ran a private law practice in Edmond, Oklahoma. 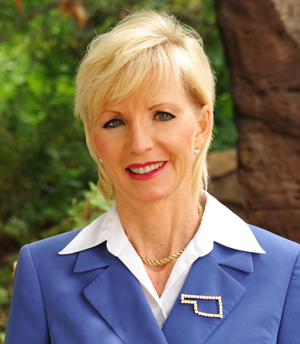 Since 2009, Murphy has served as a Oklahoma Corporation Commissioner. Murphy’s race for Lt. Governor in 2018 is advanced by a rollover of $638,821.71 existing in her campaign account from her 2016 Corporation Commission race. Murphy’s opponent in that race withdrew before ballots were printed, so she was elected without contest and not on the ballot in November 2016 with funds collected largely unspent. State Senator Eddie Fields is further down the fundraising scale having gathered $37,621. This number is no doubt affected by the time Sen. Fields is spending in debate during the ongoing Legislative Special Session and could well jump as he focuses more on the race. Eddie Fields was born in a military family and graduated from Wynona High School with a Bachelor of Science in Agri-Business from Oklahoma State University. 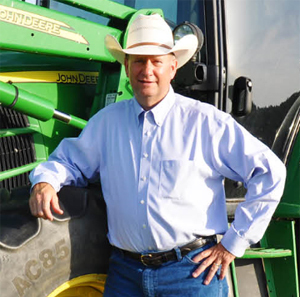 He is a third-generation Osage County cattle rancher and businessman. This was the first full quarter for Murphy and Fields to raise money. In comparison, Pinnell’s first quarter saw an inflow total of $304,990.78 – impressive by any standard. Of the new money Murphy has raised specifically for the 2018 Lt. Governor’s race, at least $33,000 of that appears to come from individuals identified as active or retired from energy or utilities both in Oklahoma and nationally. Thus roughly 40% of Dana Murphy’s contributions come from the industries she currently regulates as a Corporation Commissioner. Murphy has accepted the maximum donation from registered lobbyist and her former Corporation Commission opponent Jim Roth, now registered to lobby the Commission. In Murphy’s 2008 race against him, she attacked Roth’s campaign for being funded by the industry he regulated. After being in office for nearly 10 years, Murphy is now doing the very thing she criticized her opponent for. In that 2008 race, Murphy charged Roth with accepting money from those who “have regularly had cases in front of him. What are they paying for” she asked at the time in a story reported by Mike McCarville for Tulsa Today. Murphy was also strongly critical of the Corporation Commissioner Patrice Douglas who ran for a seat in Congress without resigning from the Commission. That disputed was covered by Tulsa Today (click here for more) and later justified an Election Disendorsement of Patrice Douglas in that race (click here for more). Several have noted the irony as Murphy follows the same pattern the race for Lt. Governor. Murphy also accepted a $1,000 contribution from registered lobbyist and former Corporation Commissioner Jeff Cloud. Cloud is registered to lobby the Corporation Commission and formerly served on the Corporation Commission with Murphy. Dominique Damon Block, Sr. raised $696.32 in the last reporting cycle bringing his total to date to $798.32 in contributions to himself from himself – no other contributor is listed. 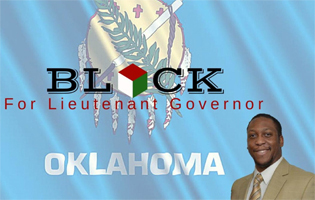 Republican Block notes his hometown is Oklahoma City and lists an A.S. in Public Service from OSU, a B.B.A. in Organizational Management from Langston, M.A. in Criminal Justice Management & Administration from the University of Central Oklahoma and is a candidate for M.S./Ph.D. in Forensic Psychology at Walden University. Nationally, Oklahoma has been won by Republican candidates in each of the past five presidential elections. The widest margin of victory was Republican Populist Donald Trump’s 36 percent margin in 2016 while the narrowest was George W. Bush’s 22 percent margin in 2000. 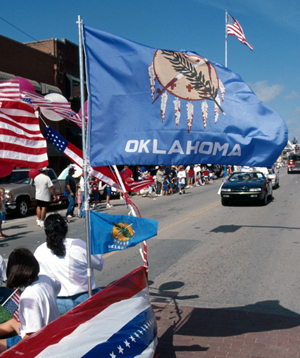 In a state long considered populist, Democrats controlled Oklahoma until recent election cycles. Democrats controlled the state legislature since its establishment in 1907 until Republicans took the House in 2004 and the state Senate in 2008. Now not a single county in Oklahoma has voted Democrat in a presidential election since 2000 – some suggest because, after 100 years, their history is legend. Oklahoma Democrats engaged in the largest government corruption in U.S. History, a County Commissioner Scandal which saw 230 convictions or guilty pleas. While no commissioners in Tulsa County were involved, the scandal touched 60 of the state’s 77 counties and finally ended in 1984. While the Lt. Governor’s race is not Oklahoma’s top leadership position; it holds considerable visibility as a spokesperson and would assume leadership in the case a governor is unable or unavailable. In function, the Lt. Governor is tasked historically in state tourism and economic development. This entry was posted in State on November 12, 2017 by admin.